Not to be missed...Yvonne LaFleur's internationally renowned custom millinery created from her vast Private Collections of veiling and turn-of-the-century flowers from France, silk ribbons from Switzerland, antique feathers from Germany and other elegant touches from around the world. The Yvonne LaFleur Private Designer Collection of apparel features silk dresses, sportswear, suedes, one-of-a-kind gowns, and exclusive wedding gowns from all over the world. 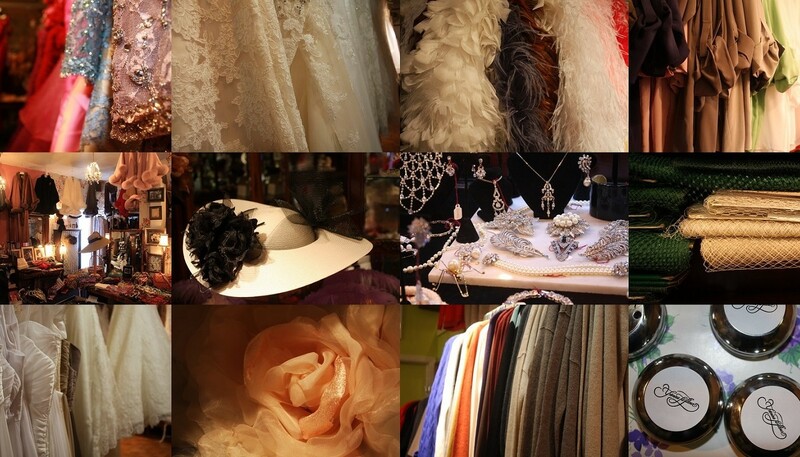 Visit us in New Orleans to see our extensive clothing, bridal and millinery collection. You're just a street car ride away from New Orleans' very own European shopping spree…the "Fashion Galleries" of Yvonne LaFleur. A most unique approach to fashion shopping, Yvonne LaFleur carries the latest, most exclusive designs from around the world. St. Charles Streetcar Stop #299.